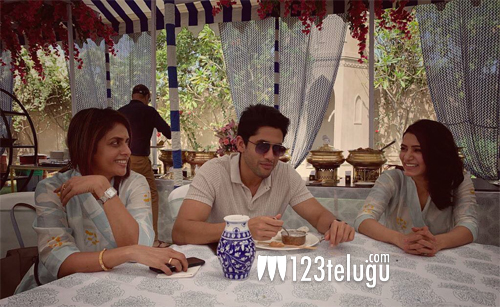 Samantha is a hot favorite among the Akkineni’s and Dagdubati family. She has got along quite well with everyone within a short period of time and is the most loved member of both the families. Now, Sam was seen having a whale of a time during the wedding of Venkatesh’s daughter. Seen here in the above picture are Chay, Sam and her mother in law having a quite and cool brunch. The news is that Samantha has gelled supremely well with Chay’s mom and won the hearts of many in the family.